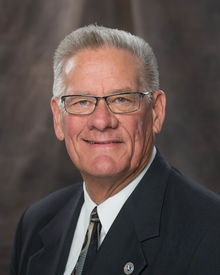 We are thrilled to bring David Aaker to Stillwater on October 24th for two customer service sessions. Customer service? The first time I heard him was in January 2018 at the US Chamber of Commere Foundations, Institute for Organizational Management . I had been at the Chamber seminar all week, and it was very intense with long days and nights of learning. The customer service session was on the last morning of the week, Sunday morning mind you. My flight was to fly out at 2 pm, this session went until noon and I was spent. I thought, "I'm 55 years old, what can I learn about customer service?" Well, he knocked my socks off! It was inspiring and powerful both from a personal and professional standpoint. It reminded me the importance of people, and how they deserve to be treated if you want them as a lifelong customers. You can register HERE for this event. Check out a little about David.